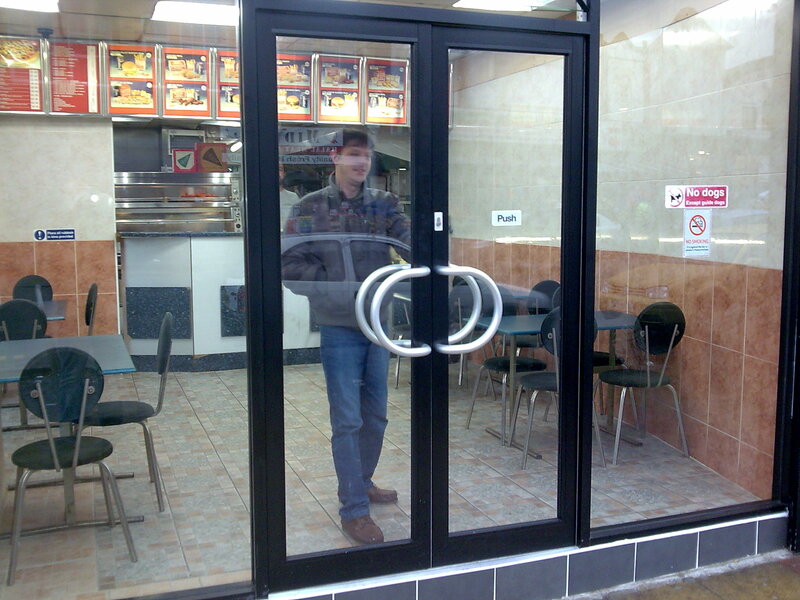 Mane install high quallity shop fronts and carry out repairs to aluminium shop doors in and around the Newcastle area, all of our shop fronts are made from high quallity aluminium. Aluminium is strong, light in weight, has high anti corrosive properties, looks modern, come in any ral colour and is very easy to maintain. Mane offer free quotes on shop front in Newcastle. For a shop front price all we will need is the rough sizes of the shop front (to the nearest metre) and the amount of doors you need. With this information Mane will be able to give you an idea of the price of your shop front in Newcastle and if this within your budget and would like to go ahead with the order Mane will arrange a site visit in which we will design with you the shop front you require. Mane also install roller shutters in Newcastle so if you require a roller shutter to go with your new shop front please ask.